AMY MENKES STOODY, B.A., J.D., is a Certified Legal Specialist in Workers' Compensation and has worked exclusively in the field since 1988. 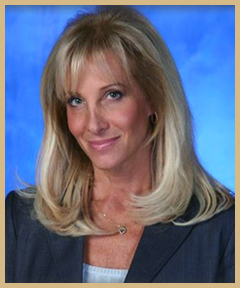 She is a former co-chair of the Workers' Compensation Section of the Orange County Bar Association and is a regular speaker at seminars involving current issues in Workers' Compensation law. Amy graduated with Honors from both the University of California at Santa Barbara and Western State University College of Law. While in law school, Amy received numerous American Juris Prudence Awards and served as an editor of the Law Review. Amy sits regularly as a Judge Pro Tem at the WCAB and has been named a 'Super Lawyer' in Southern California by her peers and Los Angeles Magazine for the years 2005, 2006, 2007, 2008, 2009 and 2010. Amy was also a featured speaker as one of America's Most Influential Women in the Law on American Airlines and is a regular legal consultant on CBS Affiliate KNX News Radio. Amy also currently serves on the Board of Directors for Boys Town California; University of Santa Barbara Department of Communications Alumni Council.